This piece is powered by electricity and wind. The bottom box-fan is plugged into an outlet, which blows on the top box-fan generator. The wind causes the permanent magnet generator to spin and generate a small, very safe amount of voltage. 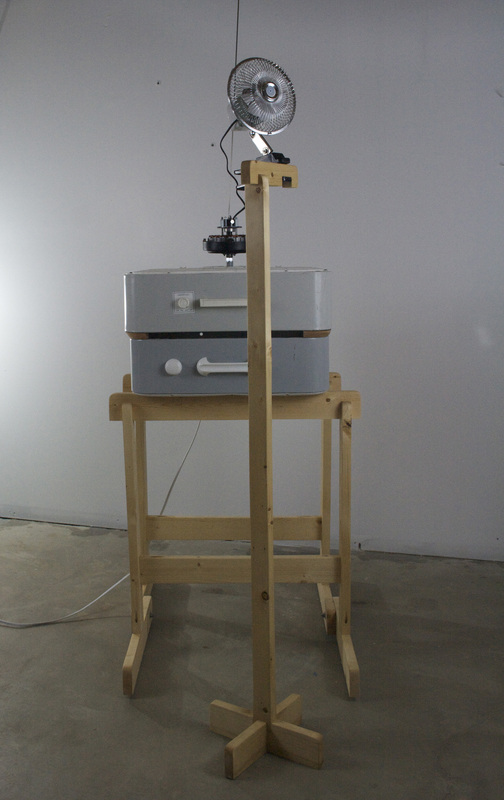 This piece also has a stabilizing rod attached to the ceiling. Wilderness and Household merges two parts of contemporary “western” life: internal domestic routine and the industrialized space surrounding us. 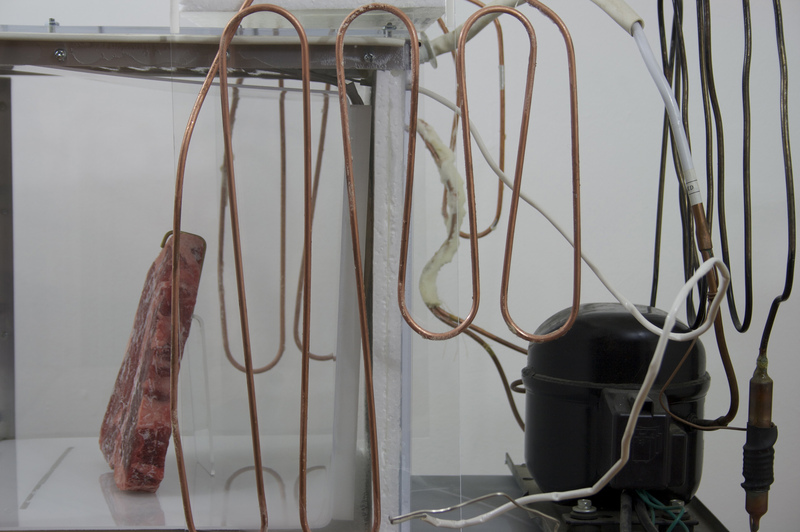 Repurposed home appliances and pieces of rebar pulled out of Chicago’s urban landscape are brought together though the idea of conservation and consumption. 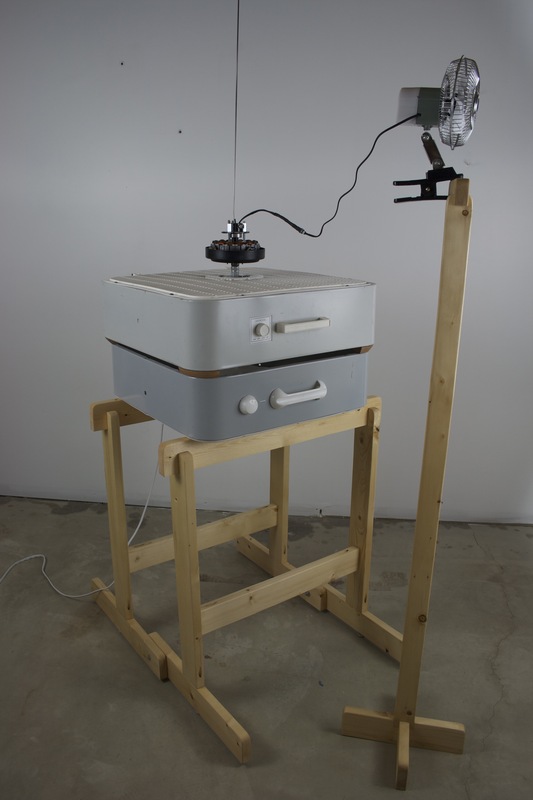 By reworking the functionality of domestic appliances like a box-fan and a freezer we turn it into a metaphor and magnify our dependence on these devices. 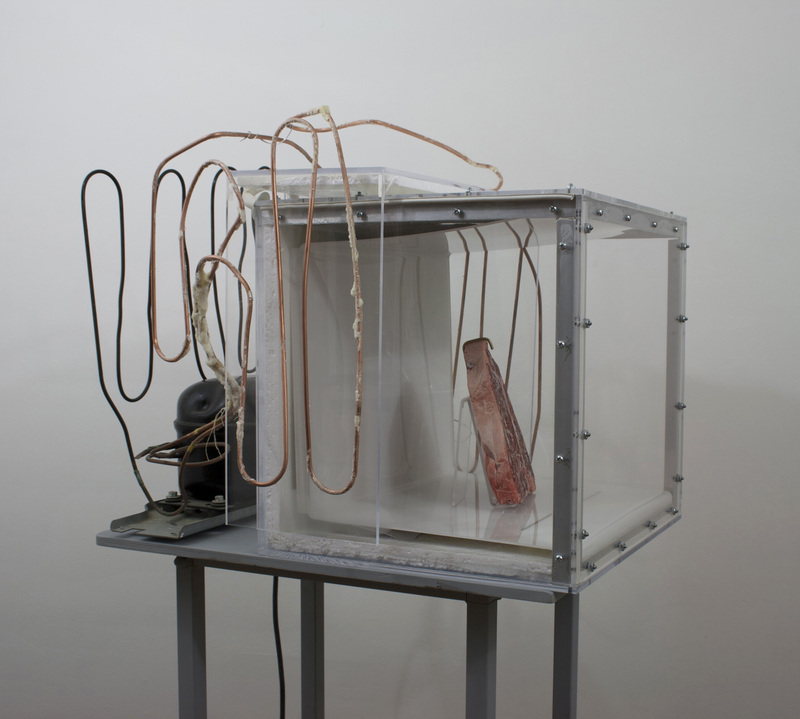 The box-fan and the freezer tell about the use of electricity, the taxation on resources and ground the viewer in this particular moment. 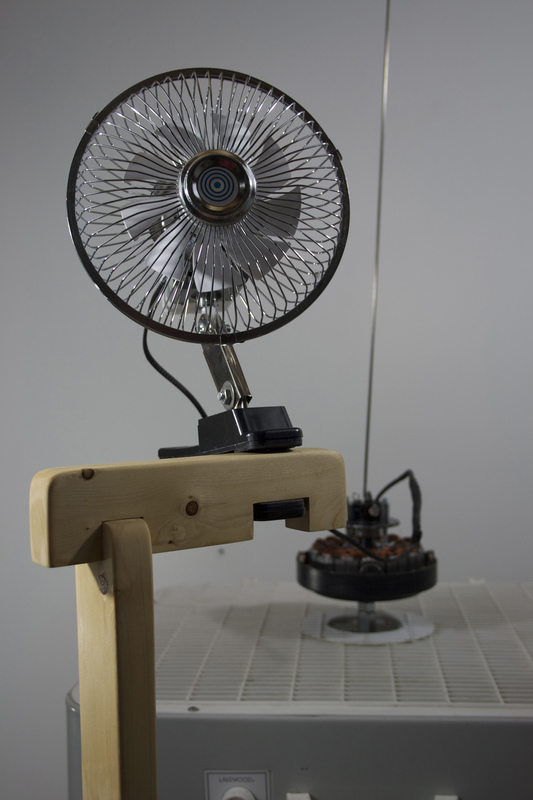 The cord plugged into an outlet is drawing energy to power one of the box fans that is blowing on the converted box-fan to generate a minimal amount of electricity. This action intensifies the absurdity but at the same time draws on the necessity of electricity. 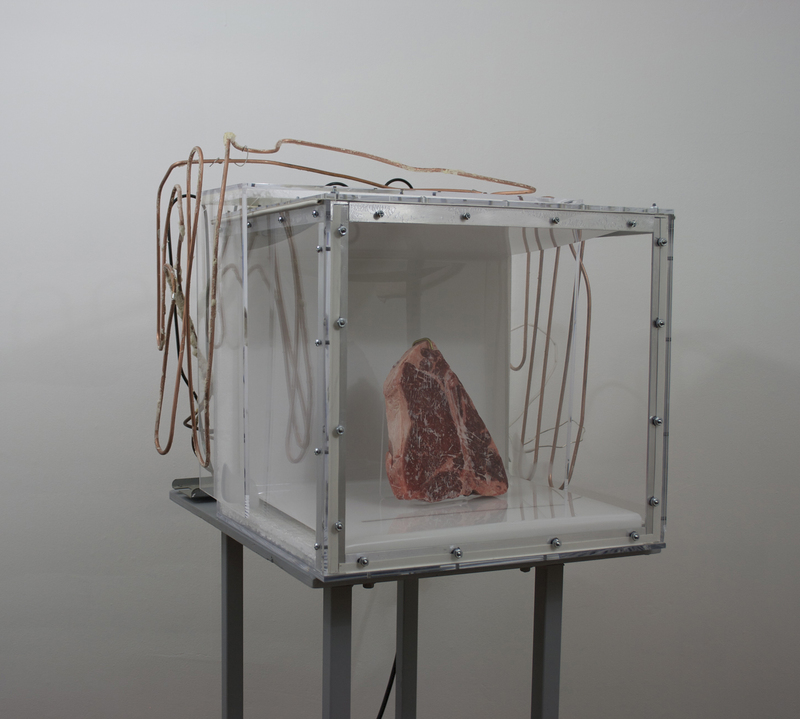 Our transparent freezer is made out of acrylic, aluminum and exposed cooling mechanism. 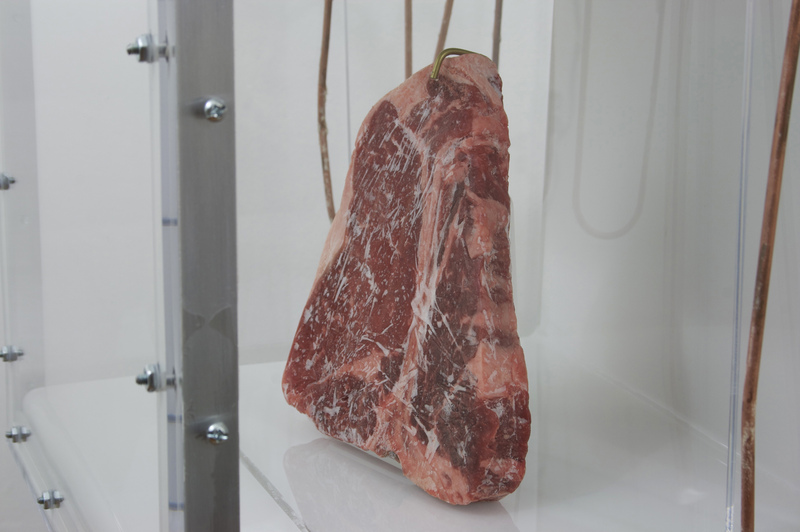 A neutral domestic object is turned into an object of display, bringing up the importance of one cultural symbol – a raw porterhouse steak. This unfolds another side of consumption – need and desire. Through the development of Wilderness and Household, we reinterpret the discourse about overconsumption and bring up the absurdity of any extreme beliefs. This piece requires to be plugged into an outlet and stay on in order to keep a desired temperature. 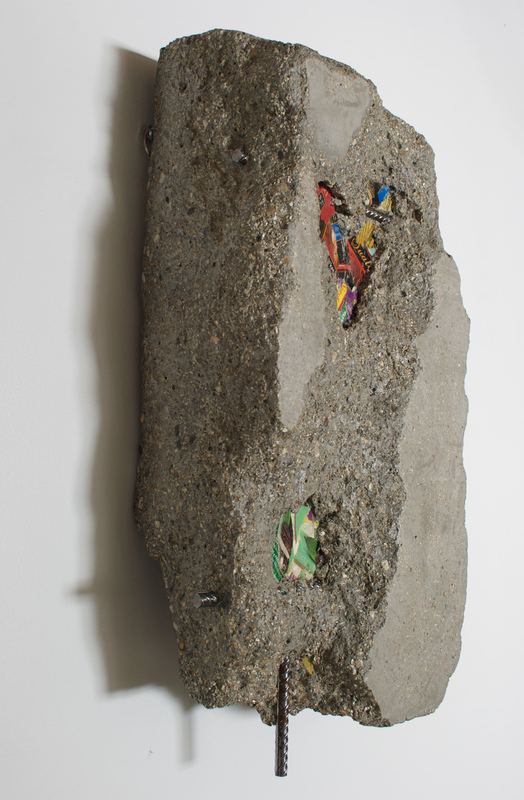 A series of concrete pieces incorporating polished rebar refers to the presence of the industrialized urban space. Concrete is a foundation that connects parts of our infrastructure. Woven into the tissue of the land, it creates necessary links and divisions between elements, such as bridges, sidewalks, footers, walls and barriers. 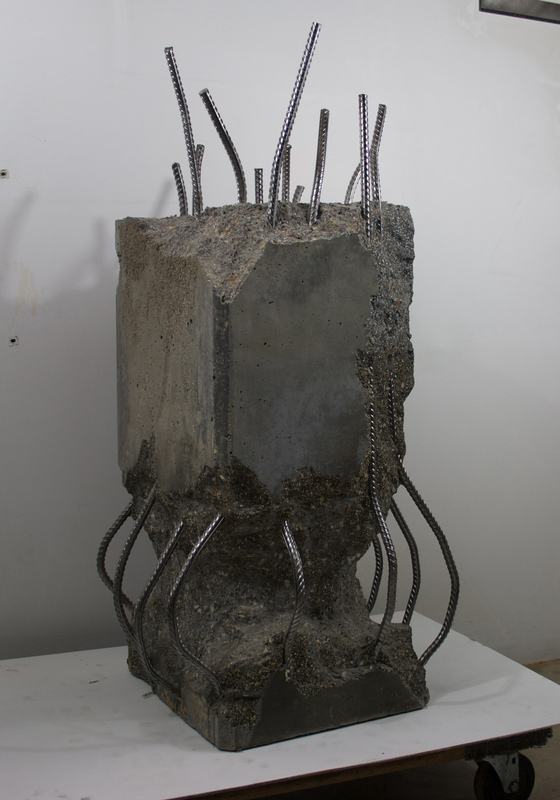 Rebar is a commonly unseen part of any concrete structure. 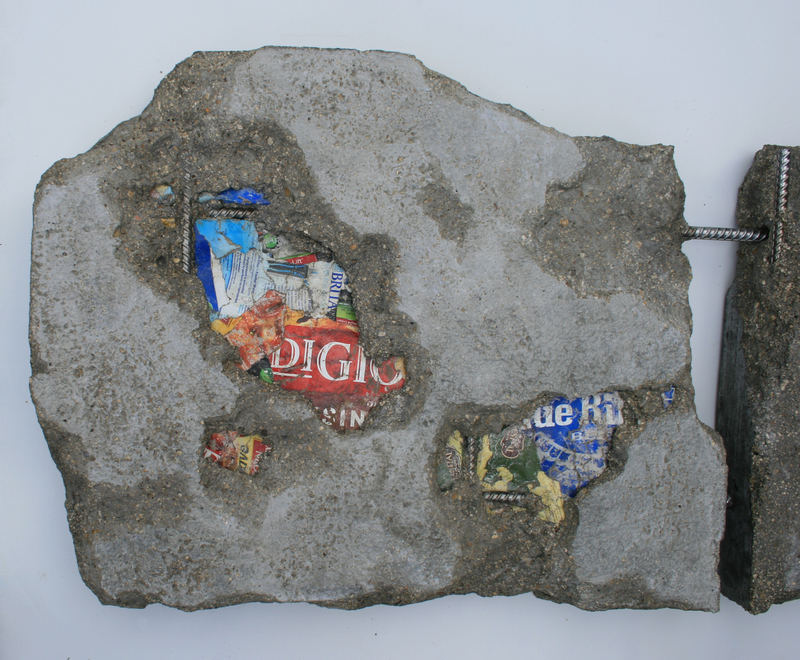 It is the binding element that holds the concrete together. 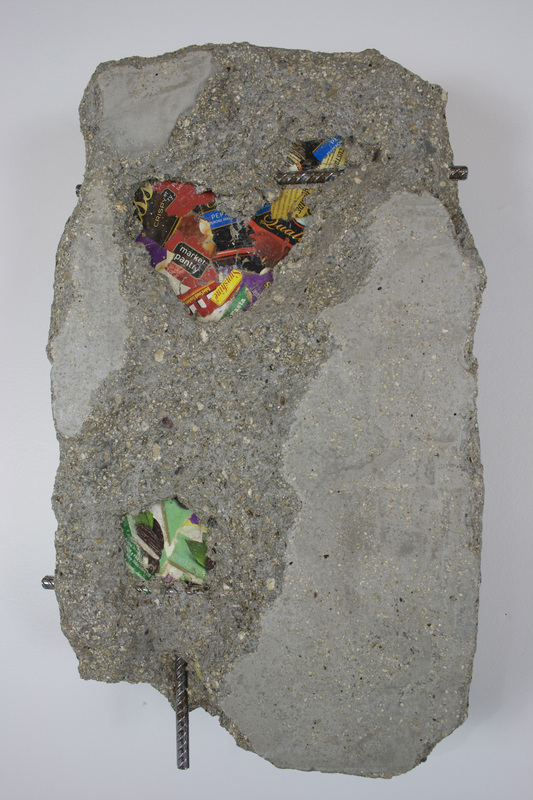 We collected rebar throughout Chicago in order to turn them into relics of our time. By polishing them, we emphasize the random, putting the mundane onto a pedestal.